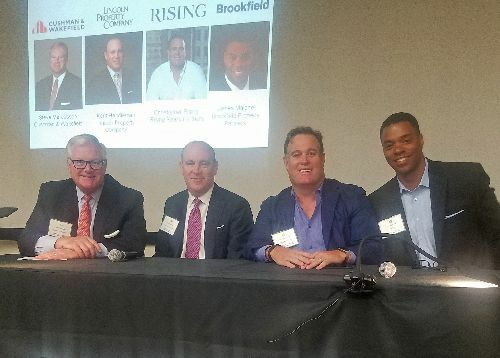 At RENTV’s Downtown Los Angeles State of the Market Conference, on April 19, a number of top DTLA commercial real estate pros shared their thoughts about the region’s office, retail, multifamily and hospitality segments. The event, which was held in the heart of LA’s Bunker Hill at Brookfield Property’s iconic Bank of America Plaza, ran from 7:30 AM until 12:00 noon. The office panel featured four veteran industry experts: Steve Marcussen, Executive Vice President at Cushman & Wakefield; James Malone, Vice President at Brookfield Property Partners; Kent Handleman, Senior Vice President at Lincoln Property Company; and Christopher Rising, President at Rising Realty Partners. Marcussen, the panel moderator, opened by expressing a shared positive outlook for downtown’s future, and noting that he expected the region to create many new jobs in the years to come. However, he and the other panelists stressed that the workforce occupying the commercial space in the region was changing considerably. Rising, who owns both historic and traditional office buildings, commented that the office market industry, in general, is in the midst of a revolution we don’t fully understand, and that the concept of work has changed from previous generations. He said that it’s naïve to feel that the way we built out offices in 1980, 1990 and 2000 is the way to build out offices today. Handleman added that for millenials, their workplace is often also their play place, as they don’t necessarily work traditional hours and expect to be able to participate in other aspects of their lives in the same environment in which they work. 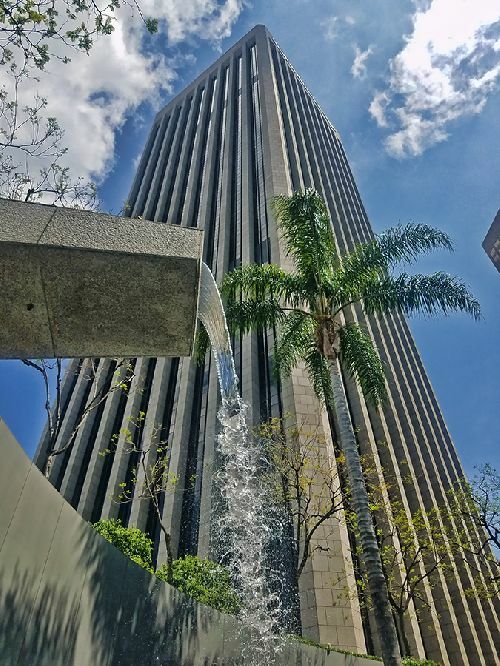 As an example of how office space users in Downtown are changing, Malone pointed out that at Deloitte, the average employee age was not much more than 25-26. Yet, these more traditional industry firms, like Deloitte, are in the marketplace competing with Facebook, Google and other more creative/tech-oriented companies for the best young talent. This means that they, too, need to transition to modern, creative workspaces to compete. Deloitte now has a full floor of shared space for 900 people, but they’re not all there at the same time. They don’t occupy assigned spaces and log-in when they get there and log-out when they leave, whenever that might be. At 333 S. Hope, the Class A tower where the event was being held, another more traditional firm, Capital Group, is in the process of re-doing all their floors with modern, shared workspaces. Rising stressed that free rent and extra TIs are not the driving force behind tenant leasing choices anymore. Urban centers will only continue to grow because people value the interaction with others that these spaces provide. An important key, said Handleman, is amenitizing – the minimal level is not enough. Tenants want those extra services, like curated concierge and valet parking from their cell phones. According to Handleman, Downtown Los Angeles is now an easier sell versus the Westside than it used to be. Not just because of lower rents, but also thanks to modern, desirable amenities and easier access to transportation.